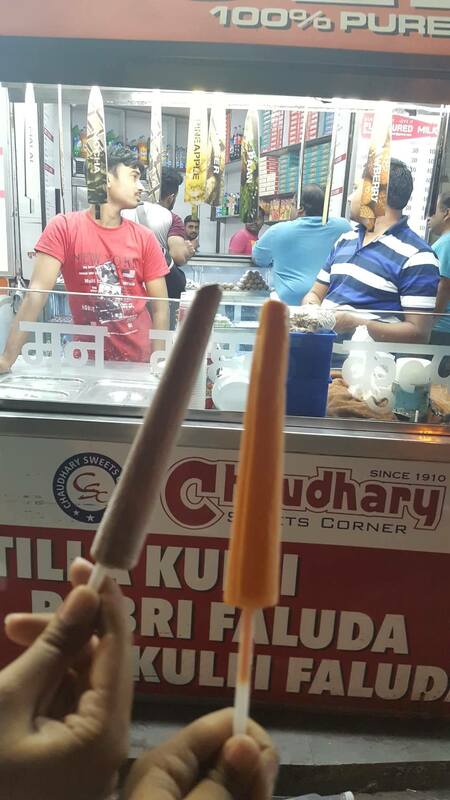 On my recent trip to Chandigarh, I found myself bored and craving for some sugar rush on a hot lazy afternoon. Since I was back in Chandigarh after a long time, I was in an exploratory mood and wanted to try something new instead of my usual haunts. However, I also was looking for something budget friendly. I had heard a lot about the inner market of Sector 8, which has in the last few years evolved from a quiet part of the town into a fun and bustling market. 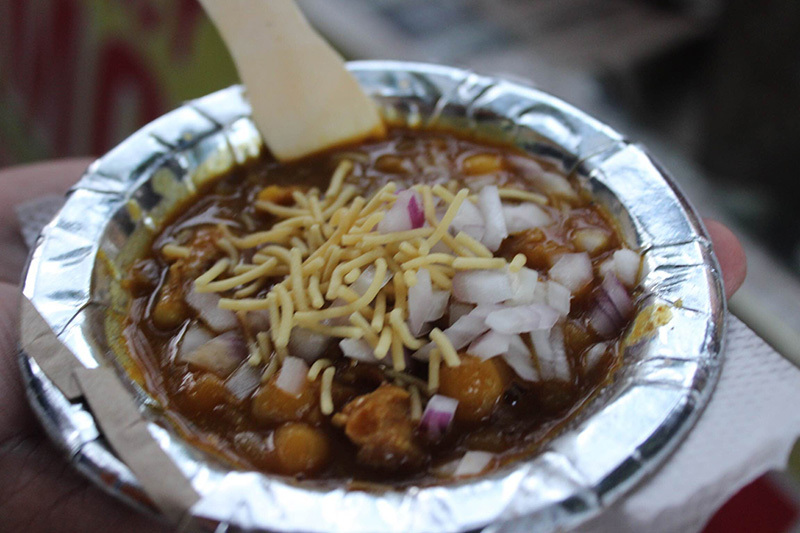 The USP of this market area is its concept of takeaway food, that is co-related to the fact that it lies on the famed ‘gedi route’ of Chandigarh. While the market is relatively serene during the day, it buzzes with activity in the evening with a lot of youngsters coming in their cars to enjoy the variety of food options this market offers. So when I finally reached this market, I was overwhelmed and confused with the presence of so many good cafes and restaurants here, and was having a hard time picking one. Finally, I went for Milkshake and Co. because I had heard some rave reviews about this one. 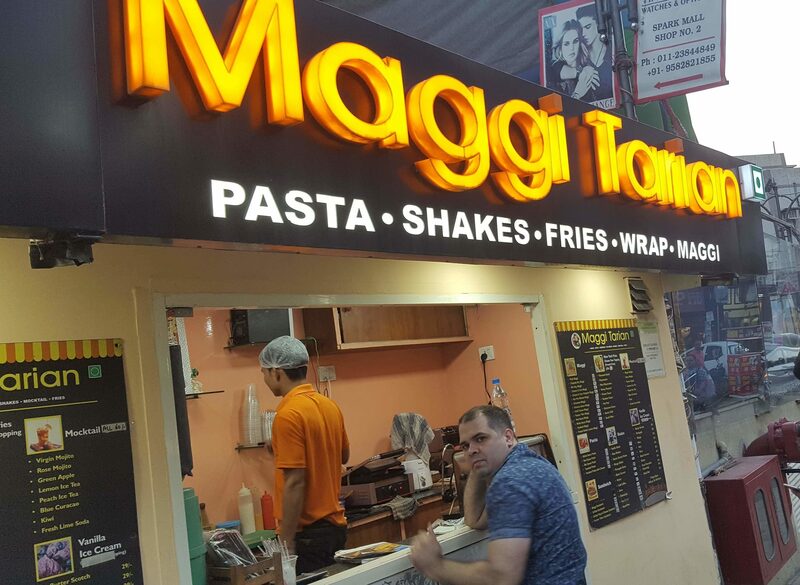 Like most of the other eateries in this place, this one also has no seating as such and there’s a small space inside for you to stand and place your orders. And while the space is a bit cramped, it certainly is very pretty with the menu painted quite aesthetically on the left side wall, and the right side wall filled with quirky and cute emojis. 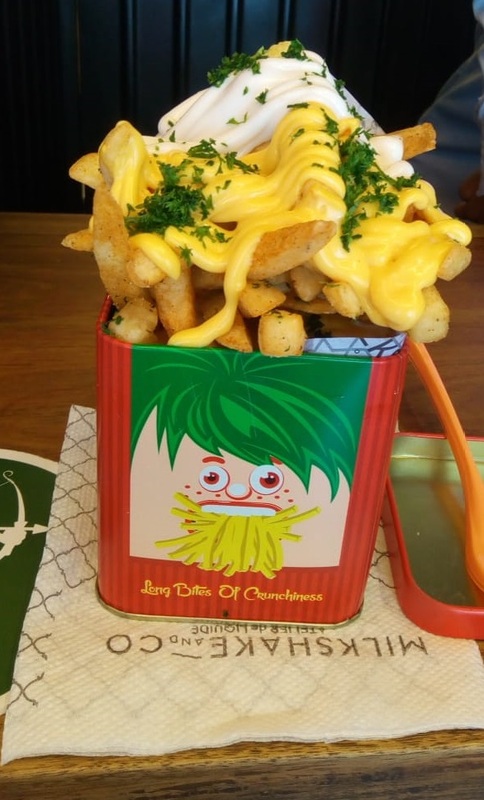 The theme of this adorable quirkiness also continues into the jars and glasses in which they serve their fries and shakes . The glasses especially are super cool with animated faces drawn on them that vary depending on the flavour of the shakes you choose, with each flavour having a specific design on the glass. Now coming to the main part, ie. the food and the beverages served here. The menu is very intriguing with the milkshakes occupying the centre stage (not surprising at all considering the name of the shop) with their interesting flavours and the even more interesting names given to those flavours. Names like Ghostly Ghost, English Summer, Deadly Red, Voodoo, Green Devil , Dark Lord, Nutty professor, just to name a few, are bound to catch your attention and set your imaginations running. Also, the flavours on offer are very diverse and cater to everyone’s tastes whether one prefers the classics, the rich chocolate shakes, the fruity flavours or even confectionery flavours like M&M, Skittles and Bubble-gum. This theme also continues with their Cream Sodas that have flavours like Orangutang, Shockwave and Blue Whale. There are also a few cold coffee options and if you’re just not in the mood for the heavy creamy options and simply want something refreshing to quench your thirst, you can choose from the many flavours of lemonade here. The food menu is a bit underwhelming though with only burgers and fries to choose from, but once again the flavours on offer are very tempting and interesting. The ‘Paneer Mango Sriracha’ and the ‘Chicken Cajun Pineapple’ in the burger bombs section definitely sound very appealing for someone with experimental tastes like me. Just looking at this mouth-watering menu had intensified my cravings tenfold and so after some difficult contemplation I went ahead and ordered ‘The Legend’ milkshake and ‘Honey Mustard Mayo fries’. I was told by the guy on the counter that The Legend, Ghostly Ghost, Black Eye and Dark Lord were some of their bestseller shakes; and while I was definitely intrigued by experimental flavours like ‘Cheesy’ and ‘Deadly Red’, I decided to stick with the classic option for my first time. And boy, I wasn’t disappointed one bit! The shake tasted what can only be best described as heavenly. 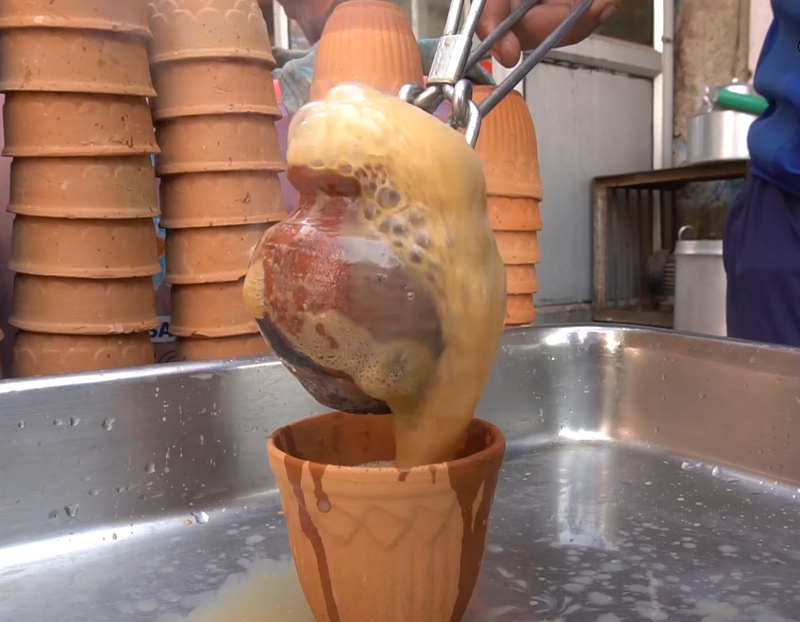 First of all, the shake really did justice to the term “thick shakes” as it was very creamy and rich in flavour. The salted caramel flavour tasted very authentic with a fine balance between the sweet flavours of Caramel and the zesty flavour of Rock Salt. And the dollops of whipped cream served on top were just ‘the icing on the very delicious cake’. 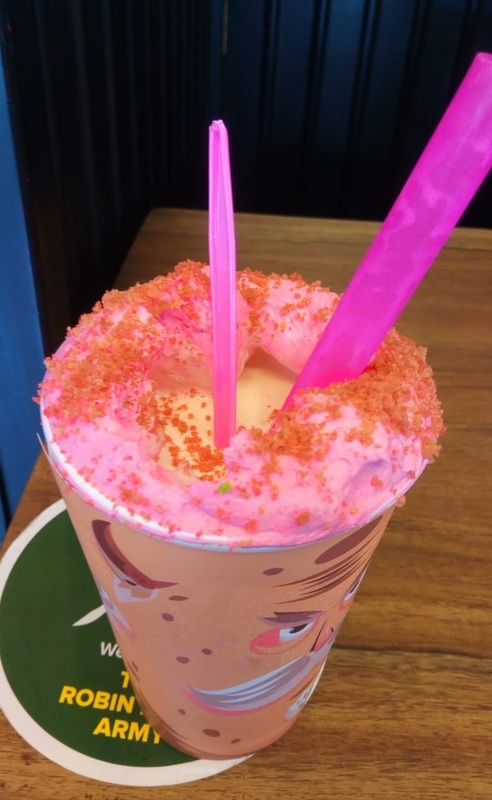 While I did really like taste of the pink coloured cream when mixed with the shake, the creaminess only serving to make the yumminess of the salty caramel flavour taste even better. However, I did find the quantity of the cream to be a bit in excess, and it did not taste as good by itself once the shake got over. But all in all, the shake was quite refreshing an absolute delight to have! The honey mustard mayo fries I ordered to have along with the shake, were good but not the best. Not sure what, but something was missing. The fries weren’t very crispy nor were they very succulent. The honey mustard mayo tasted alright but seemed to be somewhat lacking in the mustard flavour. While many people might like only a very subtle mustard flavour , I was a bit disappointed since I am someone who really likes the strong essence of mustard. But what the fries lacked in taste, they quite made up for in quantity. The serving size was really generous and while the shake itself was quite fulfilling, the fries had me full to the brim. And I had barely even eaten half of the fries. So eventually I had to get the remaining fries packed, which was simple actually considering the beautiful tin jars they serve the fries in. All that I had to do was put the lid on the jar, and my fried were good to go. Quite convenient really! 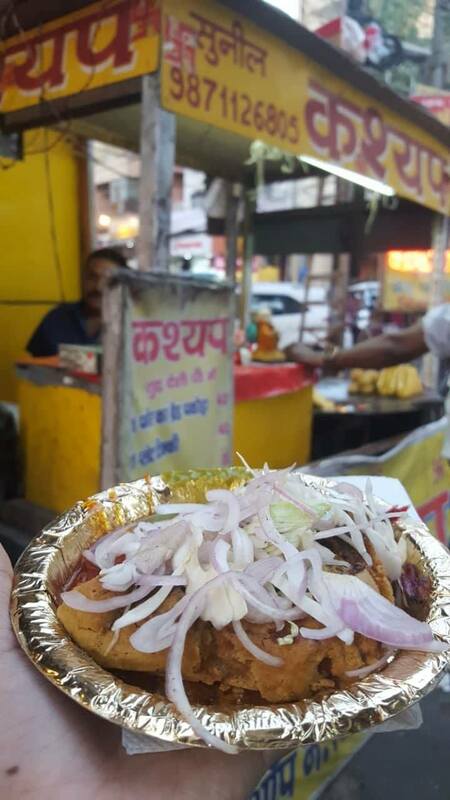 And thus, a short trip to this up-and-coming inner market of Sector 8 and my hunger was satiated, my thirst quenched, my cravings fulfilled and my tummy full. All thanks to the Milkshake and Co. The shake was thick, creamy and delightful. Another great thing about this café is their reasonable pricing. 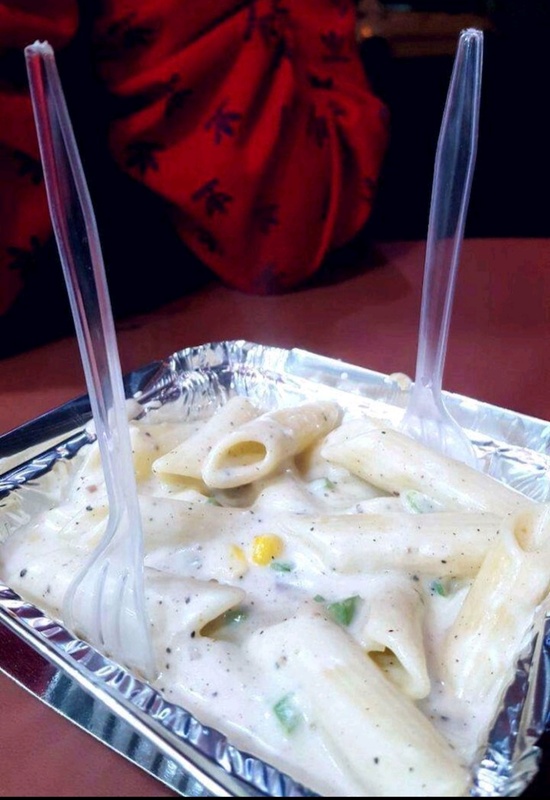 The quantity of fries is very generous for a modest price ranging from 130 to 150 rupees. The shakes might seem a bit pricey at 190 rupees, but considering the quality and the incredible taste, I found it to be totally value-for-money. 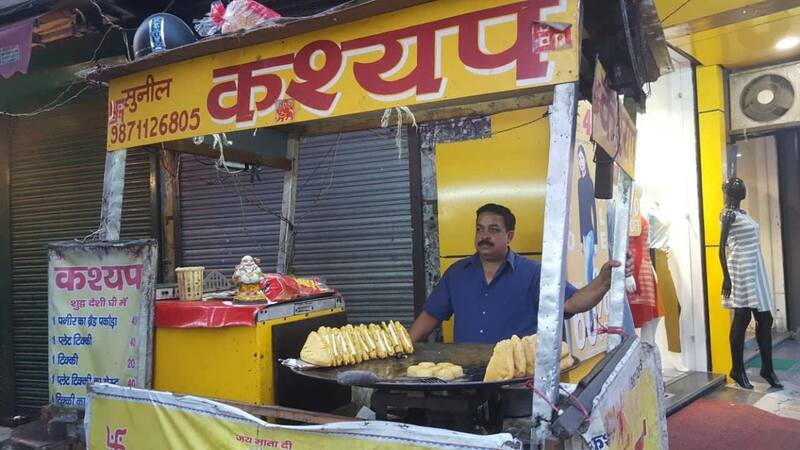 I would definitely recommend this place to everyone whether you are a resident of Chandigarh or just visiting the city, and especially if you are looking to have some great milkshakes available in a variety of flavours that will boggle your mind and mesmerize your taste buds. Theobroma isn’t exactly a street food joint but they serve some amazing quality pastries and savory items at very reasonable prices. Life is all about good food and sometimes paying just a little more than usual can be totally worth it. 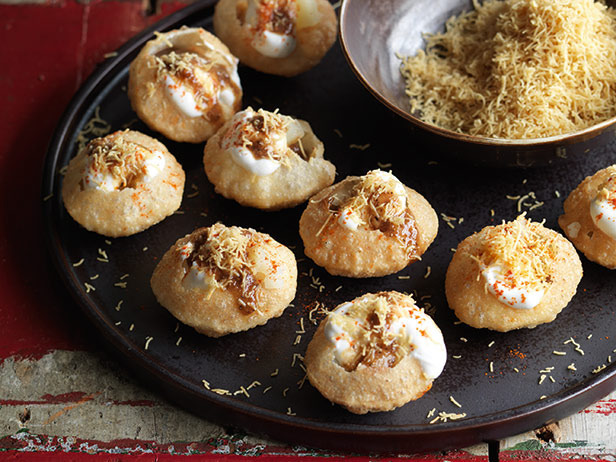 Theobroma is one such place where you get amazingly delicious food at quite respectable prices. 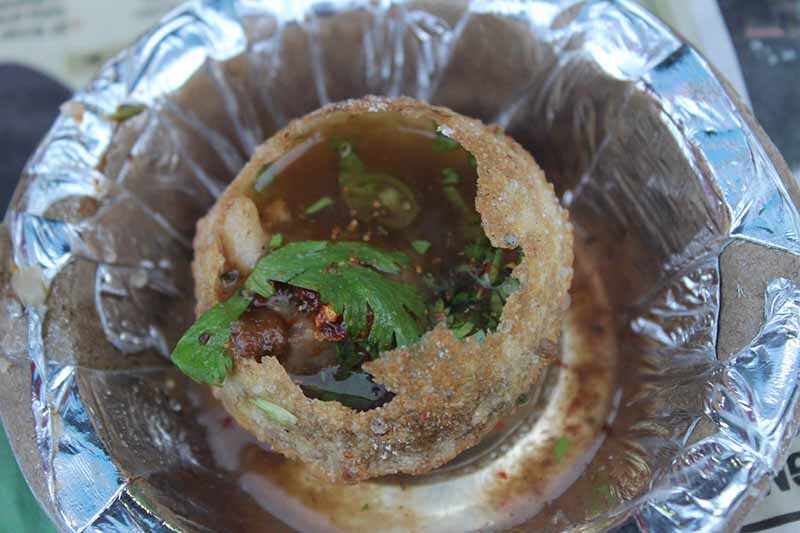 They have 10 outlets in Delhi, NCR and very recently they opened a new outlet in Select City Mall, Saket. I have also been to their café in SDA market. The café there is a beautiful little café with sea green walls and adorable furnishings and when I say little, I mean TINY. It’s a very small café where you have to squeeze in to walk back and forth. I have eaten quite a few of the items from their menu, over the years. The brownies and various tarts and pastries are to die for and I am not exaggerating one bit. 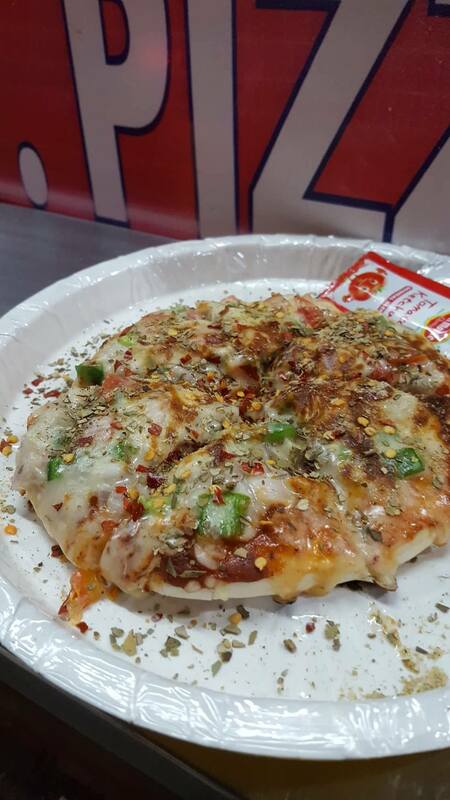 On a very recent trip to the express outlet in Saket, I ordered quite a few items from the menu. I ordered the overload brownie, the zingy lemon tart, veg quiche and crème caramel custard. And I recall eating their chicken sandwiches and after nine pastry among many that I can’t even remember now. And I am not exaggerating one bit when I say that each and every item on the menu is delectable and just so tasty. 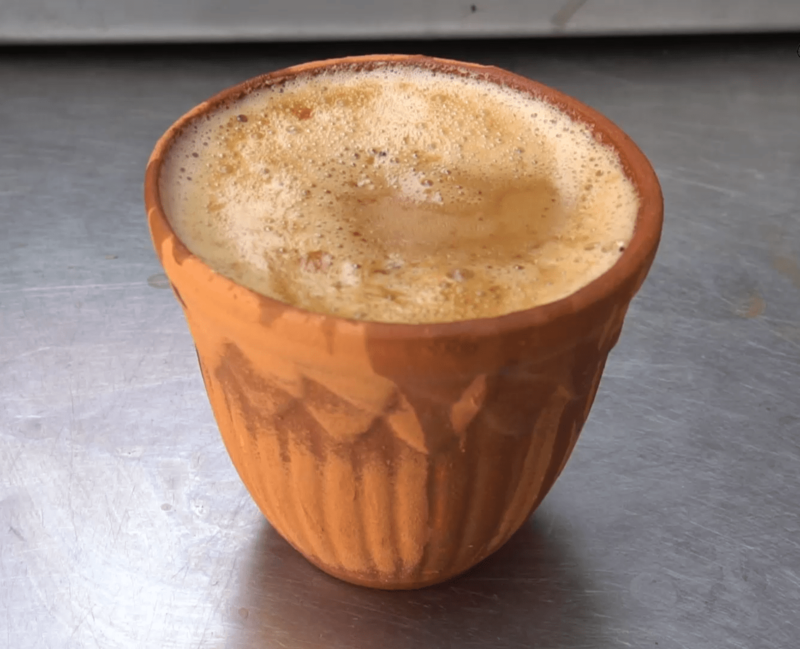 They also serve hot beverages like coffee, tea, flavoured coffee etc and cold beverages like milkshakes, flavoured ice teas, cold coffee etc to accompany their appetizing dishes. They also have a breakfast menu which unfortunately is not available at express outlets and kiosks. They also serve various flavours in cheesecakes for cheesecake loves like me. Not only do they serve pastries, but they also serve cakes on order for half kg and beyond. They also serve mouse cakes and hand crafted chocolates. 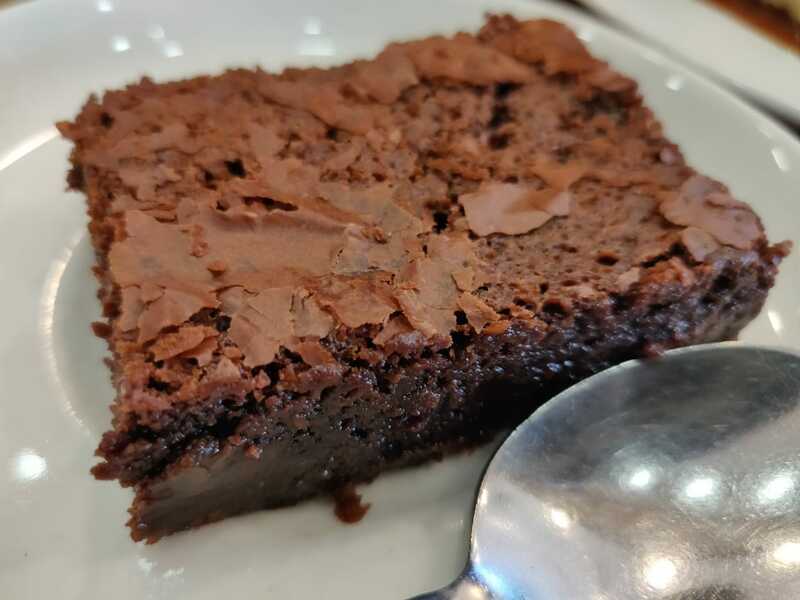 Now coming to the prices, the overload brownie was for 95 rupees and it was one of the softest, incredibly gooey in the middle, melt in your mouth kinda brownie. The crème caramel brownie was also an amazingly smooth pudding, just the caramel poured on top trickled down the plate and the cheapskate in me wanted every drop of the caramel syrup which was unfortunately hard to pick up because of the flat place, so yeah that left me a bit sad. 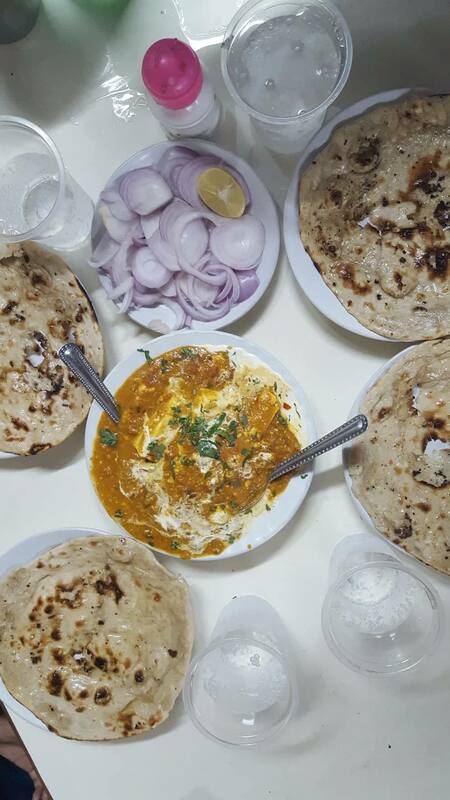 It was for around 100 rupees. 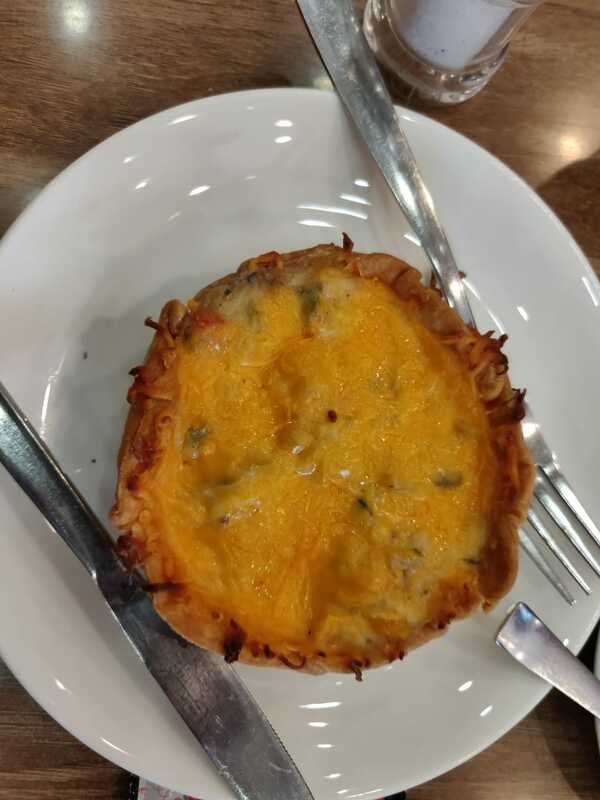 The veg quiche was for 75 rupees, and OH MY GOD, the quiche was so good, it’ll probably be one of the best things you’ll eat, it was cheesy, the base was nice and crumbly, the mushroom tasted just perfect and I don’t even like mushrooms. Then the zingy lemon tart was for 100 rupees, it was just the right thing needed to cut through the heaviness of all the other items ordered. It was tangy and just so refreshing. The sandwiches are from 125 to 135 which are quite reasonable for two good, heavily stuffed sandwiches. 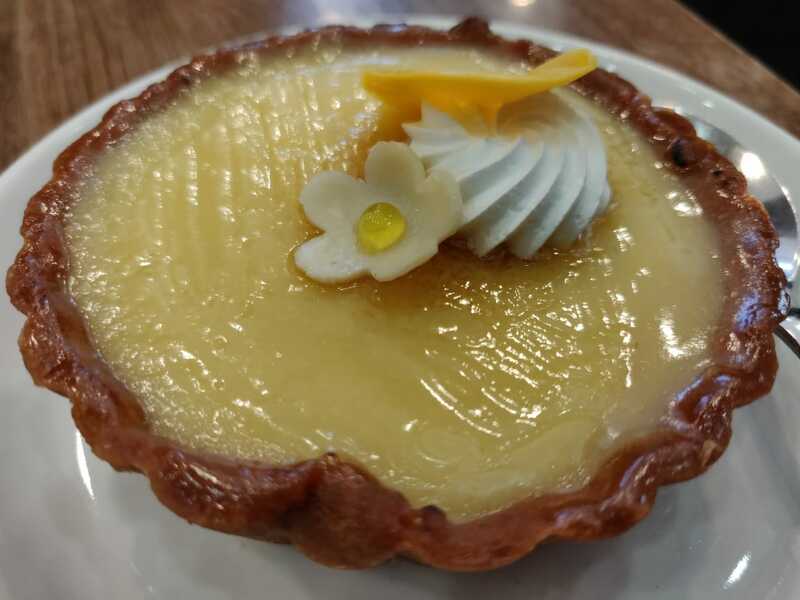 Theobroma is in no way a cheap, inexpensive bakery shop, but it is a good place to go if you wanna eat good quality pastries and other sweet dishes for a reasonable amount of money.